Active substances are components of cosmetics that affect the skin, influencing its physiology and functions. They are added to the base of cosmetics usually obtained from water and fats. Active ingredients are essential to achieve nourishing effects. In other words: without them cosmetics do not work. Below we present you a list of raw materials, substances and ingredients used in the production of cosmetics. 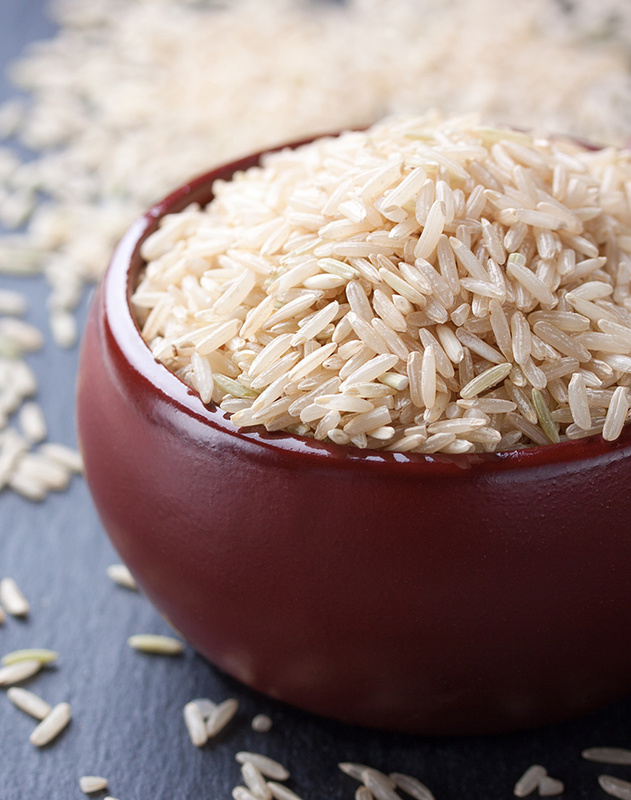 Rice has been used in cosmetics for centuries. Its care and beauty values have been recognized by Asians who are famous for their beautiful, delicate and youthful complexion. Rice powder was used by Japanese geisha who wished to get silky appearance of the skin, smooth it and mattify it. Rice is rich in vitamin B complex, it also contains microelements valuable for the skin such as: magnesium, phosphorus, zinc, potassium, iron, calcium (scrolling link for each of the positions). Thanks to the content of vitamins and minerals, rice is used as a skin care agent that stimulates regeneration of skin cells, helps to produce collagen, which slows down the aging process and retains water inside the epidermis. Powdered rice is valued for its aesthetic and care properties. It is a very good sebum absorbent working for many hours from the moment of application. It perfectly smoothes and evens the skin color and it also has healing and anti-inflammatory effects. Used in moderation, it will not harm dry or very dry skin. Due to its beneficial properties, powdered rice is added to many cosmetics, such as foundations, balms or masks. In our offer, you will find rice in the form of powder with an excellent silky texture. Bamboo has a lot of valuable properties, making it useful in many areas of life – starting from the kitchen, through construction, to cosmetics. Young bamboo shoots contain valuable ingredients such as silica, minerals, vitamins, amino acids and flavonoids. The latter, due to their antioxidant properties cause that bamboo is used in production of skin oxygenating preparations. 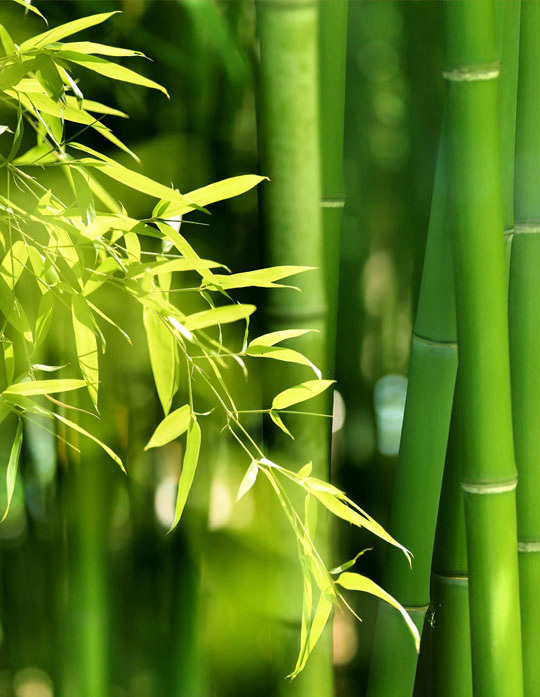 As a beautifying ingredient, bamboo is used in the form of powder which can be found in the composition of many cosmetics. Among others, it is a good alternative for the talcum powder blocking pores as it is not comedogenic (it does not block pores). Bamboo powder is obtained from a special bamboo species growing on the wooded hills of India. Extract from the stem core of the plant, extremely rich in plant silicon compounds, is used for its production. As a result, the powder contains more than 90% of silica which has a number of care properties: it regulates sebaceous gland activity, it has antibacterial and skin-soothing effects. The powder particles have a porous structure that can be compared to a sponge - they can absorb moisture, increasing their volume significantly. As a result, silica-containing powders have a long-lasting matting effect. In our offer, you will find a natural, transparent bamboo powder in a loose form, ideal for the shiny and greasy skin. Raw palm oil contains numerous precious ingredients beneficially affecting health. However, hardened palm oil is harmful and it should be avoided at all costs. 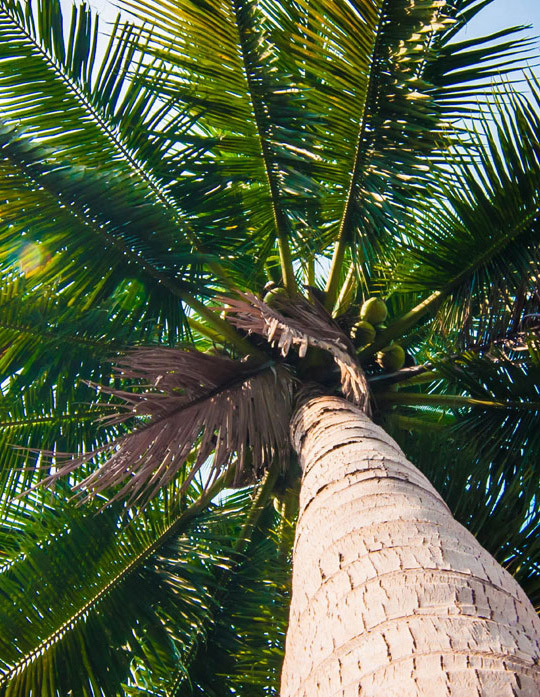 Palm oil is obtained from fruits and seeds of oil palm trees. After the pressing process it is orange and red in color. Raw palm oil contains numerous precious ingredients, such as betacarotene, vitamin E and K, and lots of antioxidants. It also contains squalene and coenzyme Q10. Sterols contained in the oil – thanks to their fantastic properties - inhibit cholesterol absorption and facilitate its removal from the body. Their structure is a little bit alike cholesterol, but they are very useful. Palm oil consists of saturated fatty acids in 50%, of monounsaturated acids in 40% and in polyunsaturated acids in 10%. Despite such a large content of fatty acids, raw palm oil is not harmful to health and it does not increase the risk of occurrence or intensification of cardiovascular diseases as opposed to refined and hardened oil. In the refining process, it loses valuable carotenoids and antioxidants. Its initial semi-liquid form is changed into a solid state; during the process trans fats are formed which are very harmful to health. Therefore, it is worth paying attention to labels and read the list of ingredients on products carefully. Coconut flesh, i.e. white and fleshy padding of the hard nutshell, is rich in among others fiber, potassium, magnesium and phosphorus. 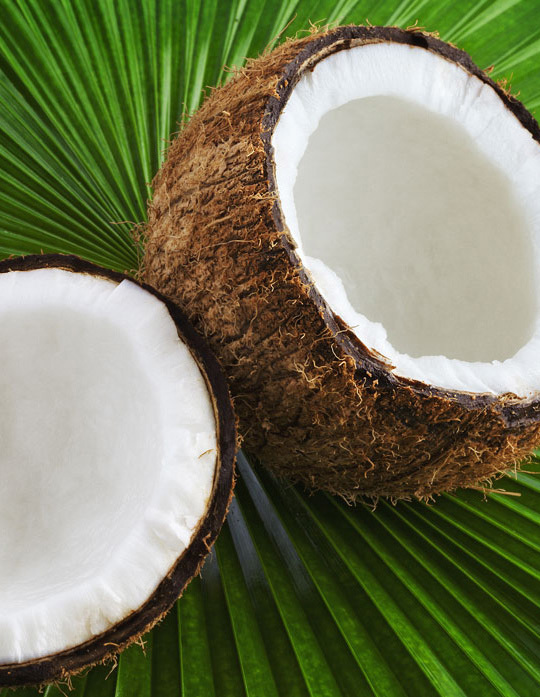 However, saturated fatty acids in the coconut flesh have the greatest health value. Presence of valuable fatty acids and a large content of vitamins and minerals make coconut oil effective in skin care and hair care in the case of hair suffering from various problems. Applied directly on the skin, it strengthens the natural lipid barrier of the epidermis. It has strong moisturizing properties – it moisturizes dry skin (also on the palms, knees and elbows) and hair. Due to the presence of antiseptic ingredients, it improves the condition of problematic skin, with rash, eczema and acne. It can be used in the case of atopic skin and affected by psoriasis – it moisturizes and prevents bacterial superinfection. Lauric acid contained in the oil reduces the feel of burning after burns and alleviates inflammations and irritation. It contains antioxidants that fight free radicals, preventing premature skin aging. Coconut oil is used as a mouthwash as it can prevent caries, it eliminates bad breath as well as gingival bleeding. Proactive ingredients of 100,000 proteins and ingredients of NMF (Natural Moisturizing Factor). They are responsible for proper hydration, and thanks to the interaction of amino acids with keratin they improve the skin's plasticity. They regulate osmotic pressure, eliminate free radicals, they have anti-inflammatory, regenerating and activating effects and they stimulate collagen production. Arginine contained in amino acids is responsible for anti-inflammatory effects and helps to stimulate skin cells. Proline and PCA binds water and retains it in the epidermis; moreover, proline together with alanine and glycine activate the synthesis of collagen. Serine is responsible for the lipid coat, and lysine has antiviral effects. Phenylalanine is responsible for the correct course of melanogenesis, while histidine removes heavy metals and protects the skin against UV radiation. It is also worth mentioning threonine which is responsible for optimal protein breakdown which is extremely important for the synthesis of collagen and elastin. Aspargine and glutamic acids regulate the mineral balance and are responsible for lipid metabolism. Organic substances with anti-inflammatory effects; they strengthen the protective film on the skin surface conditioning the epidermis. They play a specific role because they stimulate the synthesis of collagen, the main supportive skin protein; they limit elastase - a component that destroys elastin; they accelerate regeneration of the epidermis, they have anti-inflammatory, antiviral, antifungal and antimicrobial effects. Resistant to oxidation, softens the epidermis, smoothes the skin surface. It stimulates and regulates the connective tissue of the skin. Ubiquinone – a substance rich in polyunsaturated fatty acids (especially linoleic acid) and proteins. Q10 supports cell structure, reduces the appearance of deep wrinkles, and, when applied regularly, improves skin hydration. Application of Q10 allows you to protect collagen and elastin in your skin and it supports production of new collagen fibers. Q10 is responsible for intercellular metabolism, regenerating cells to increase skin firmness. In combination with vitamin E, Q10 detoxicates skin cells and inhibits formation of free radicals. They protect the skin against UV radiation, which significantly delays photoaging of cells. Tetradecanic acid – conditions, moisturizes and softens the skin and hair by creating an occlusive layer on their surface to retain water in the tissues. Vegetable dyes - have an antioxidant effect, especially lycopene, because they absorb UV radiation. This acid reduces harmful effects of UV radiation, stimulates skin renewal on the cellular level, promotes collagen synthesis, accelerates tissue regeneration, prevents photoaging, smooths wrinkles, increasing skin elasticity and firmness. It prevents formation of free radicals which are responsible for aging of the skin. It stimulates collagen production for elasticity and firmness of the skin. Phenolic compound - antioxidant, also has bacteriostatic effects. Vegetable extract - rich in natural fatty acids, cell membrane component, similar to human phospholipids readily absorbed into the skin, acts as a vitamin-supplying agent and a humectant. Research conducted in the 90s has confirmed that it regulates circulation in vessels; small molecule sizes guarantee excellent penetration into the deeper layers of the skin, carrying nourishment to the cells. It has been proven that vitamin PP reduces water loss, regulates renewal and regeneration processes of the epidermis, stimulates the production of collagen in fibroblasts. As a strong antioxidant, it inhibits formation of free radicals, it also protects against UV radiation. Thanks to it, the skin becomes smoother, healthier, more resistant to photoaging, and to formation of new discolorations. It fights acne, redness, bruising and roughness of the dry epidermis. Unsaturated fatty acids – all research conducted concerning their effects document that these acids significantly reverse the effects of aging. Although we will not return to our childhood look, the skin affected by omega 3 acids becomes naturally regenerated, and further stimulated to self-repair, as substances filling cells are supplemented. They assist in regeneration of the hydrolipid barrier and supplement deficiencies of ceramides that fill the intercellular spaces. Unsaturated fatty acids exogenous – they accelerate the cellular renewal of the skin, reversing the effect of UV; they reduce stains and discolorations. Moreover, conditioning the epidermis, they moisturize, elasticize and protect the skin from UV radiation (SPF 6). They assist in regeneration of the hydrolipid barrier and supplement deficiencies of ceramides that fill the intercellular spaces. Unsaturated fatty acids – they exhibit the same effect as the above acids (omega-3 and omega-6); moreover, they restore elasticity of blood vessels, sweep away free radicals, support regeneration of the hydrolipid barrier and supplement deficiencies of ceramides that fill the intercellular spaces. They have remarkable antiradical and anti-inflammatory properties, protect vitamin C before disintegration; they also seal blood vessels and stimulate blood microcirculation in it. They accelerate cell metabolism, accelerating lymph circulation. They tighten pores, improve the skin color, smooth the epidermis, improve the balance of microelements in the skin; copper works favorably for allergy sufferers. They have moisturizing, antibacterial and anti-inflammatory properties that accelerate healing. Działają zmiękczająco, nawilżająco, regenerująco i immunomodelująco, aktywizują naturalne mechanizmy obrony przed mikroorganizmami patogennymi. It acts as a phytoestrogen; it increases elasticity and firmness of the skin, it proves itself perfectly in modeling of the face oval; a strong antioxidant; internally used to fight against cancer, externally it decreases breakdown of collagen fibers in the skin (and not only that); it protects against UVB radiation, preventing photoaging and discoloration. In the epidermis and fibroblasts, it activates sirtuins, or enzymes, being the elixir of youth (thanks to them cells live longer). They alleviate the symptoms of allergies and regenerate the epidermis. Organic substance, containing micro and macroelements; it has antibacterial and strengthening effects; it stimulates cellular renewal. It strengthens the tissue structure, stimulating the synthesis of collagen and elastin, improving elasticity and firmness of the skin. It smoothes, nourishes and greases. It absorbs perfectly, making the skin soft, velvety and aesthetic. It supports regeneration of the hydrolipid barrier and supplements deficiencies of ceramides that fill the intercellular spaces. It has been used as an active ingredient in cosmetics for dry and mature skin. Retinol - reduces wrinkles, regenerates the skin by stimulating production of collagen and hyaluronic acid. Through the renewal process, it accelerates exfoliation of dead epidermis cells. Retinoids brighten pigmentation spots of external origin. Research conducted in the 90s confirmed that it regulates circulation in vessels; small molecule sizes guarantee excellent penetration into the deeper layers of the skin, carrying nourishment to the cells. It has been proven that vitamin PP reduces water loss, regulates the regeneration and regeneration processes of the epidermis, stimulates production of collagen in fibroblasts. As a strong antioxidant, it inhibits formation of free radicals, it also protects against UV radiation. Thanks to it, the skin becomes smoother, healthier, more resistant to photoaging, and to formation of new discolorations. It fights acne, redness, bruising and roughness of the dry epidermis. Thiamine (B1), riboflavin (B2), pantothenic acid (B5) and pyridoxine (B6) have moisturizing effects through water retention; they show anti-aging and healing properties in the case of dermatoses, microdamage and burns of the epidermis and they also prevent hyperkeratosis. It improves color of the skin with enlarged or cracking blood vessels. It soothes reddening caused by overheating under the sun, and soothes the skin with a tendency to blotches, as well as the formation of effusions and minor bruises. It is capable to penetrate the epidermis thanks to which it has multidirectional effects – it normalizes keratinisation, brightens the complexion and reduces discoloration, it eliminates free radicals and promotes regeneration of vitamin E in the skin; it is also required for the synthesis of collagen. It has been used in brightening cosmetics and for mature skin. It has been used in dermocosmetics for baby care and dermatological agents. Products containing this vitamin D also regulate exfoliation of the epidermis. Tocopherol – an excellent antioxidant with effective anti-aging effects; it slows down exogenous aging of the skin and protects against free radicals. Present in unsaturated fatty acids – it has been used in skin diseases, it has a protective effect; it rebuilds the epidermis's lipid layer and conditions the skin by creating an occlusive layer that protects against moisture loss from tissues. One of the most effective guiding preparations. It saturates tissues with active oxygen; it has a strong antimicrobial effect as well as strong anti-wrinkle, firming, rejuvenating, regenerating and moisturizing properties. Effects of colloidal gold has been confirmed by research. Thanks to it we know that colloidal gold has unquestionable regenerative and moisturizing capabilities. Thanks to gold particles that evenly distribute on the surface of the skin, gold acts as a protective filter, giving the skin a beautiful, radiant look. Properties of gold help to remove edema and dark circles under the eyes; fine wrinkles are significantly reduced. Gold helps to protect the skin against stretching, which greatly facilitates elimination of any stretch marks. Group of plant-based antioxidants – they prevent oxidation of human low-density lipoproteins; they significantly reduce decline in vitamin E (tocopherols) and they increase fluidity of the phospholipid membrane.